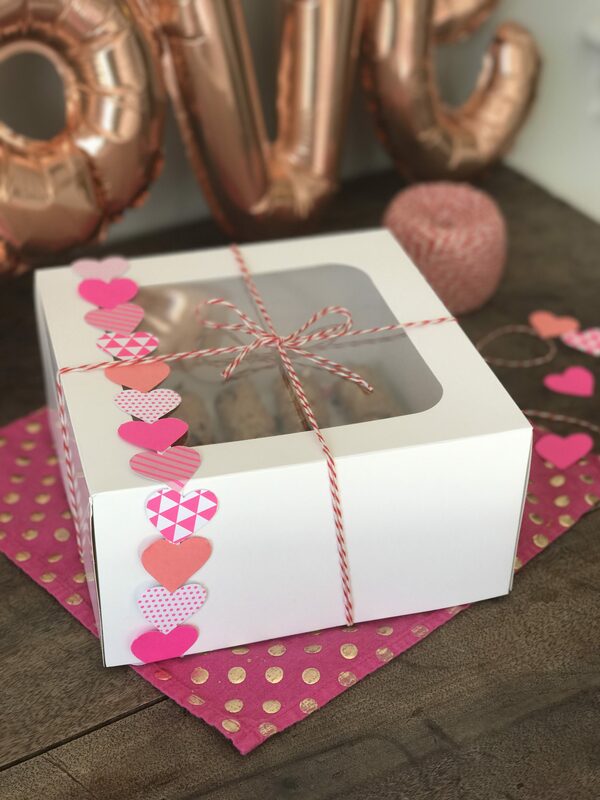 The team at Martha Stewart Living sent me a little care package this month with a fun Valentine’s Day challenge: using some of the tastiest array of Swiss Chocolat Frey treats and some Martha Stewart crafting supplies, they encouraged me to find a creative way to share the love with my friends and family. 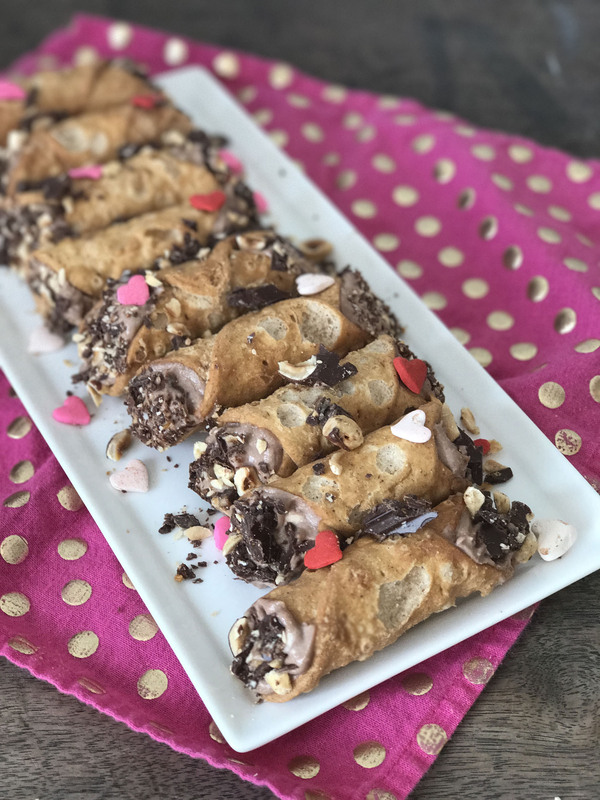 Food is one of my favorite ways to show my love, and I decided to tackle a sweet, indulgent dessert inspired by the Chocolat Frey Milk Chocolate and whole roasted Hazelnut Crunchy Nut bars: Valentine’s Day Chocolate Hazelnut Cannolis. I took a shortcut and used pre-made cannoli shells, which you can find at most grocery-store bakery counters. Want to try making your own? 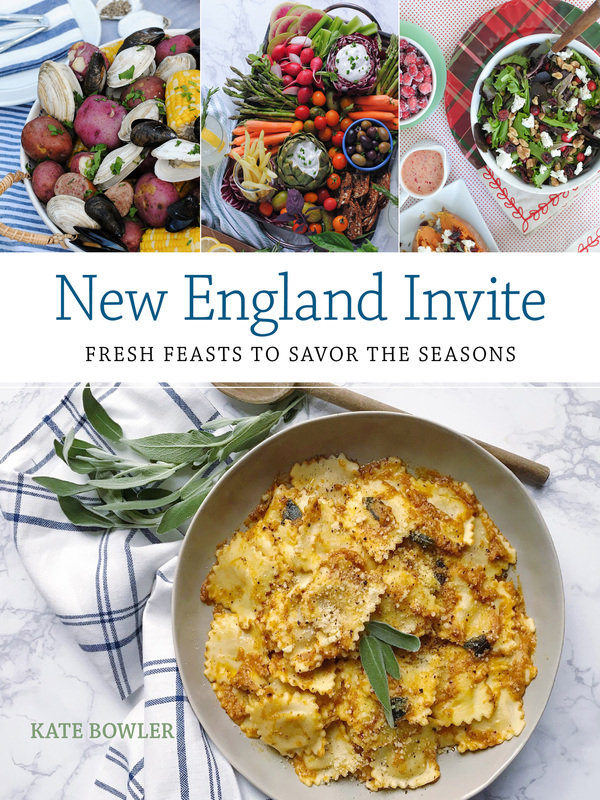 Try this classic Martha Stewart recipe! For the filling, I mixed up a ricotta-mascarpone blend and folded in a rich chocolate hazelnut spread for a deep, nutty flavor. After piping in the filling, I topped the cannolis in the Chocolat Frey Milk Chocolate and Hazelnut Crunchy Nut bar to add nuttier, chocolate flavor and tons of texture. Such an indulgent sweet treat needs to be shared, so I wrapped up the cannolis in a bakery box. I finished it off with a homemade heart-garland that I made out of a pink scrapbooking paper, punched out in heart-shapes with a Martha Stewart paper punch. 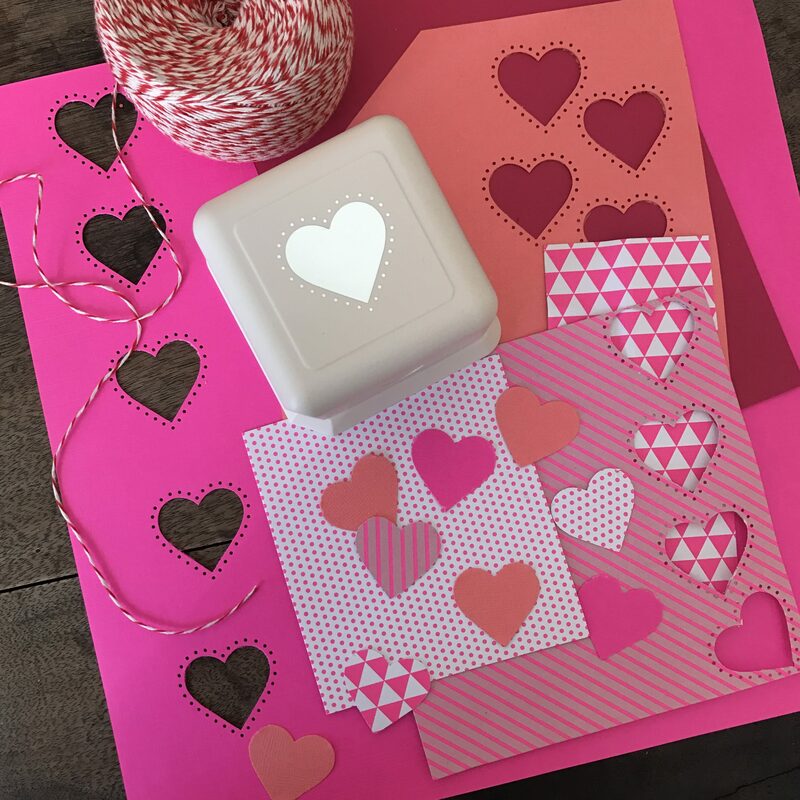 I linked all of the punched-out hearts by adhering them to a thin strip of tape (try sewing them together too!) 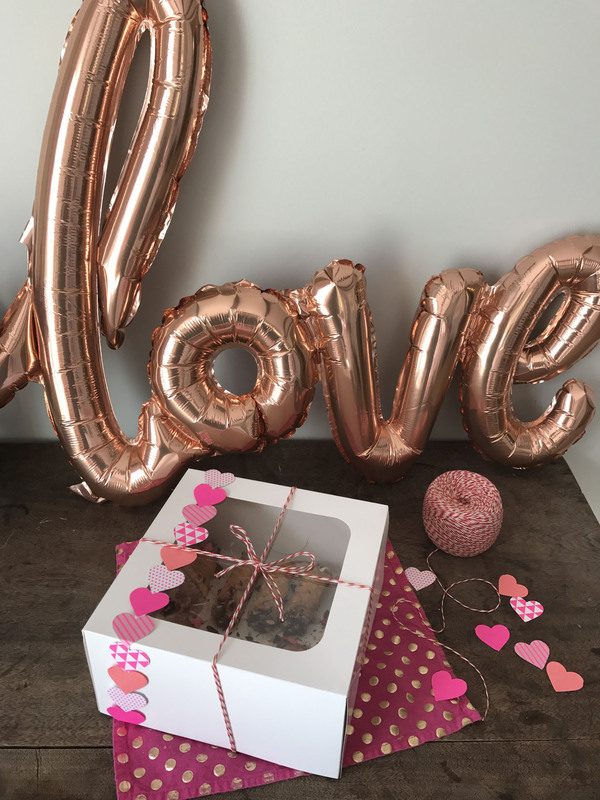 and they became a ribbon-like festive touch to send off these sweets to my Valentines! 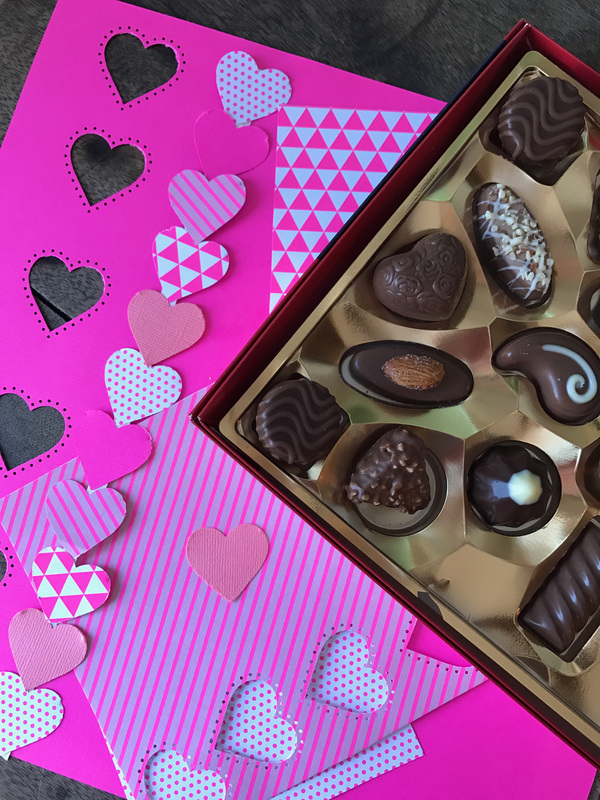 I used the same heart garland to wrap up and decorate other Valentine’s gifts, like delicious boxes of Chocolat Frey’s Finest Assorted Pralines, a tasty selection of creamy Swiss chocolates. Combine all ingredients, ricotta through lemon zest. Chill overnight. 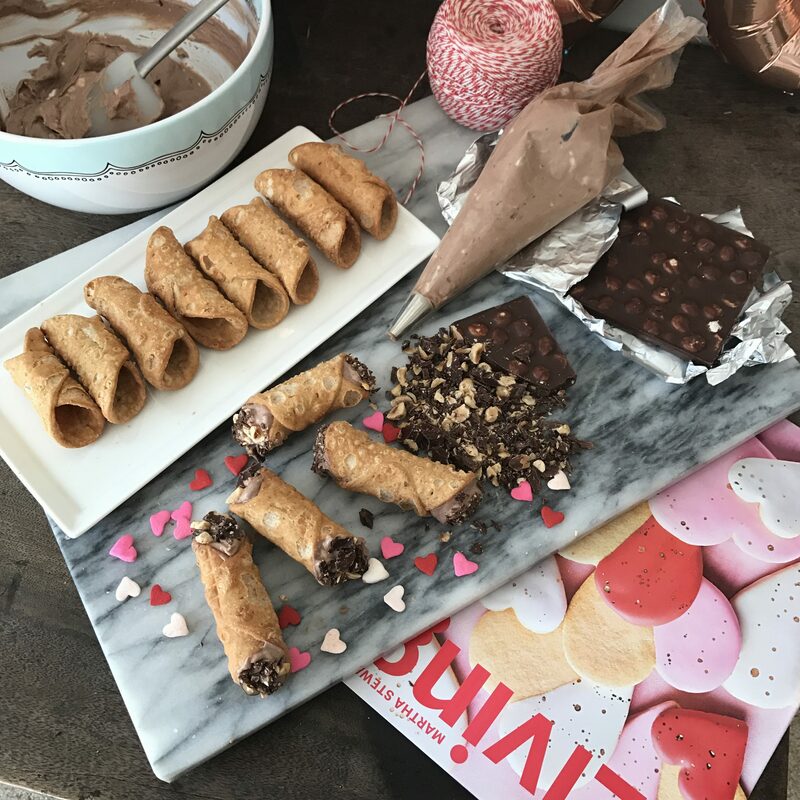 Fill cannoli shells with ricotta-mascarpone filling and dip ends in chopped up pieces of the Chocolat Frey Milk Chocolate and Hazelnut Crunchy Nut bar. 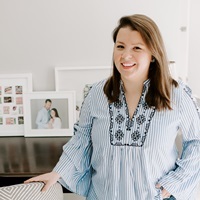 Please note: This post was created in partnership with Martha Stewart Living and Chocolat Frey. All opinions and images are my own. 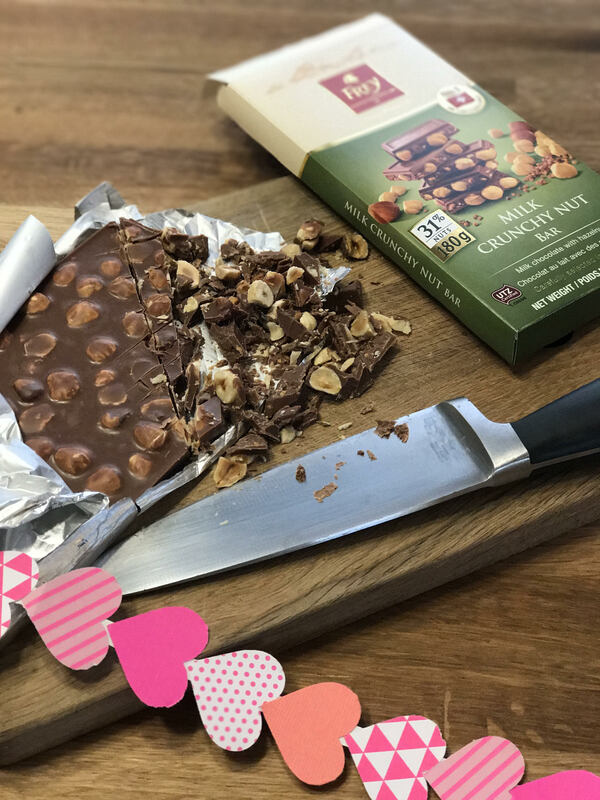 If you would like to give the gift of authentic premium Swiss chocolate for Valentine’s Day you can now find Chocolat Frey at retailers across the US, including Sam’s Club, Shop Rite, Shaw’s, Meijer and more. Learn more about the brand and follow Chocolat Frey at @ChocolatFreyNA . 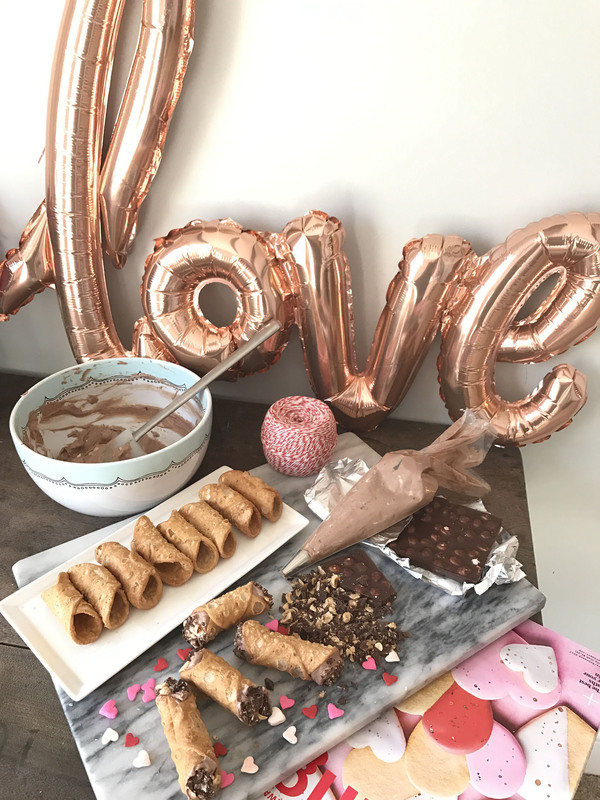 Galentine’s Day. Valentine’s Day Mocha and Marshmallows. 3 Responses to "Chocolate Hazelnut Cannolis." Next time you need a taste tester, just give me a shout! These look amazing.